In March of this year, the authorities of Rockland, USA declared a state of emergency after more than 100 people were diagnosed with measles and in New York people who refuse to vaccinate their children could be fined. Events such as these are repeated in other parts of the world, and although it is a disease that, as indicated by the WHO has a safe and effective vaccine, it is estimated that in 2016, 89, 780 people died from measles, most of them under 5 years old. Much of the situation is the result of "anti-vaccination movements", in which parents mainly do not vaccinate their children for different reasons, personal or religious. But, how personal is the decision to accept vaccines or not? For Dr. Gregory Poland, director of the Vaccine Research team at Mayo Clinic in Rochester, USA, in most situations, it is a personal decision. "However, in those situations in which a disease not only affects an individual but also others, vaccines become a requirement. For example, in schoolchildren, in the military and in health care providers that can spread diseases to patients. Many argue that we all have the moral responsibility to vaccinate ourselves, our families and our communities. " For Poland, anti-vaccine movements are due to factors such as fears, misperceptions, and misinformation. "In addition, many people are fooled by those who have no scientific education, such as friendships, celebrities, and others," he says. The doctor says clarifies that this type of movement "adversely affects the health of a country and the communities. 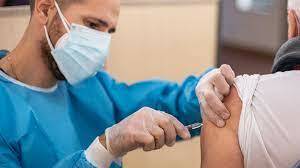 Currently, there are outbreaks of hepatitis A, mumps, measles, influenza and whooping cough, all diseases against which vaccines exist. " Poland explains that vaccines "stimulate an immune response and, therefore, help prevent both infectious diseases and their complications." Dr. Max R. Ramírez, pediatrician, national coordinator of childhood and adolescence of the Ministry of Health, says marks another aspect: the increased migration of this century that "has shown the necessity to maintain vaccination actions with useful and sustained coverages. Monitor more strictly the appearance of outbreaks, circumscribe them, control by means of vaccination the population in contact with the cases and in this way contain the probable resurgence of eradicated diseases ". Dr. Ramírez explains that "to consider the eradication of a vaccine-preventable disease requires several criteria of certainty; the conditions to consider eradication are very strict and are given in the context of health regions as regional goals that certify international health agencies, like the WHO. " But whether it is a personal decision or not, Dr. Ramírez recalls that "in the Convention on the Rights of Children, adopted by the United Nations, in 1989, and ratified by Panama says that the state shall respect the rights set forth in the convention, and shall ensure their application to every child subject to their jurisdiction, without ut distinction, and shall take appropriate measures. Ensuring protection and necessary care and recognizes the right of the child to the enjoyment of the highest possible level of health and services for the treatment of diseases and rehabilitation. that have about vaccination, perhaps the most frequent myth about is if they are causing autism or rare diseases, to which Dr. Ramirez, who is president of the national commission of immunization practices, responds: vaccines are not produced to make people or people sick, and if that were the case, the only consequence would be to get sick because of the same thing that is being injected, not for another totally different and that has no infectious cause. The human body reacts by the entry of foreign particles, and the most common form is fever, discomfort or pain at the injection site, it is a short-term reaction that easily passes or is controlled by medication. There is no medically or scientifically creditable evidence that vaccines cause serious public health problems, period. This possibility is rigorously studied before any vaccine is cleared for large-scale use. Any evidence of negative consequences to public health and well-being immediately disqualifies a proposed vaccine. There are published opinions to the contrary, like yours, but whenever the information sources for them are examined they are found to be scientifically uninformed, baseless and incorrect. When carefully examined, the database for most are simply other baseless and incorrect opinions that have been previously published. Furthermore, the use of vaccines for the control and prevention of diseases that formerly decimated and disabled large portions of our population is undeniable proof of their efficacy. And finally, there is no correlative emperical or theoretical evidence for causation between the use of vaccines and autism - no common thread or threads. There is more evidence for the advent of the space program as a causation of autism, since they are better correlated timewise than vaccination and autism. Your opinion is simply ill-founded. Naturally the government-paid "doctors" will recommend vaccinations, even at gunpoint. There is plenty of evidence that vaccines can cause serious health problems, including autism--especially the vaccines that are manufactured these days. Just take a look at the toxic ingredients. When I was a child, many kids (including myself) had the measles. No one in my town died from the measles. This fear-mongering by government-paid doctors for mandatory vaccinations is designed to increase the profits of big pharma--and to exert more control over the people. Sorry you are so misinformed.